Bonni Brodnick Blog : Hey, Stella!!! Get Ready for Snowmageddon! Hey, Stella!!! Get Ready for Snowmageddon! 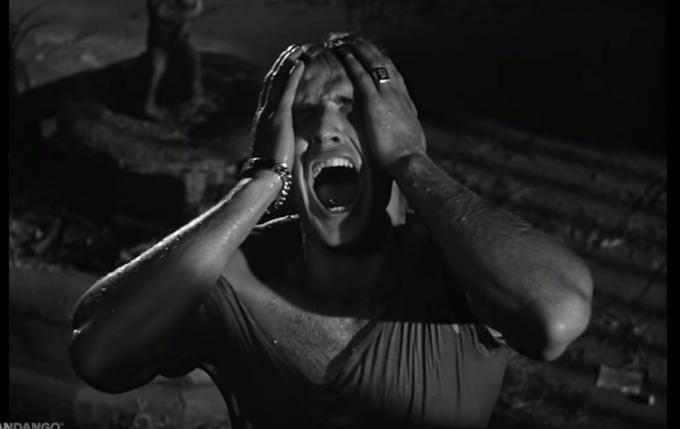 It's not just Marlon Brando screaming, (click here) "Hey, Stella!" We might be mirroring his screak when Winter Storm Stella blows in this evening. I remember growing up with my mother telling me, "In the old days when there wasn't any radio, the pioneers would look out on a clear day and not have any inkling that a massive snowstorm was on its way." So consider that we are at advantage in 2017. We've got all means of communication and technology warning us about the paralyzing snowstorm waiting to pounce. The nor'easter heading our way is a powerful low-pressure system that will intensify rapidly due to cold air surging southward from Canada, combined with the warm ocean waters from the Gulf Stream. 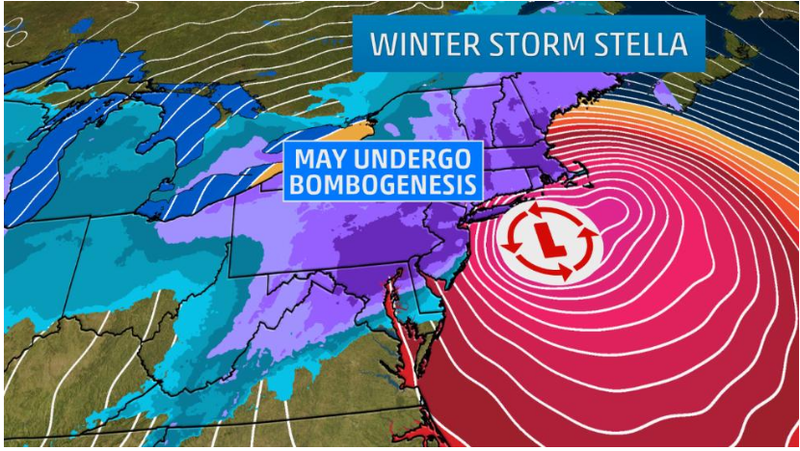 January 21, 2014 -- "Outrageous Bombogenesis Hits the Northeast"
February 21, 2014 -- "Weather or Not"
January 24, 2016 -- "The Blizzard of 2016"
Click here, click here, click here ... and run. #Snowmageddon #Snowclone #Snownado #BlizzardWatch2017 #Stella!!!!! Hi! I use Blogger platform. Hope that's helpful. Many for taking the time to comment. Much appreciated!